With the 2016 presidential election coming to a close, Donald Trump has been elected as the next President of the United States. The presidential campaign has been a divisive issue, but now is a time to look forward to how the election will have an impact on many sectors. What the future holds for renewable energy is uncertain, but Trump has an energy plan in mind that could have a major effect on this industry as a whole. Trump’s energy plan is relatively straightforward, but still somewhat vague. Trump supports increasing fossil-fuel production in order to bolster the economy and create new jobs. He also intends to relax restrictions on oil and gas companies, allowing them to potentially drill in federal areas. Trump has famously said that he wants to “save the coal industry,” which he suggests has suffered at the hands of some politicians in the past. In the past, Donald Trump has shown relative disdain for renewable energy. He has called wind turbines unattractive and has suggested that they have a negative impact on wildlife. As far as solar energy is concerned, Trump has often highlighted the failure of solar developers in the past as the reason this form of renewable energy is not viable. Trump has shown much more support for natural gas, however, which produces fewer emissions than conventional fossil-fuels when used to generate electricity. Natural gas, however, still produces emissions and the process through which this fuel is harvested, hydraulic fracturing, is environmentally hazardous. While Trump has shown very limited support for renewable energy, whether or not his plan to expand fossil-fuel production and support the oil and natural gas industries is still not set in stone. If Trump’s plan can find support in Congress, which is likely, then renewable energy in the United States may suffer a modest setback as investments flood into the fossil-fuel sector. 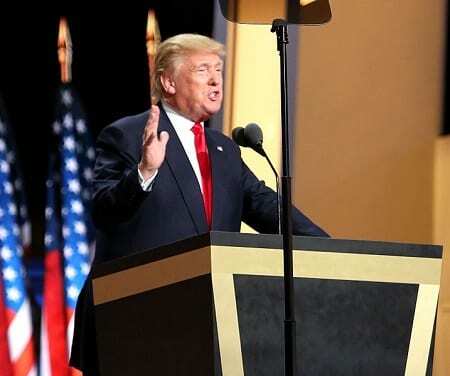 However, it is likely for Trump’s energy plan to see some revision in the future in order to be more politically acceptable amongst federal lawmakers. Dept of Energy and Dept of Defense have been spending billions on research and development on Renewable energy with no real outcome but an excellent publications in scientific journals with no commercial values. Indeed,Renewable energy has received criticism from Trump.